Perfect for your group of avid off-roaders, the Hillbilly Hlllton is a genuine mobile home in a beautiful spot. We’ve added a large outdoor deck for parties and cookouts. 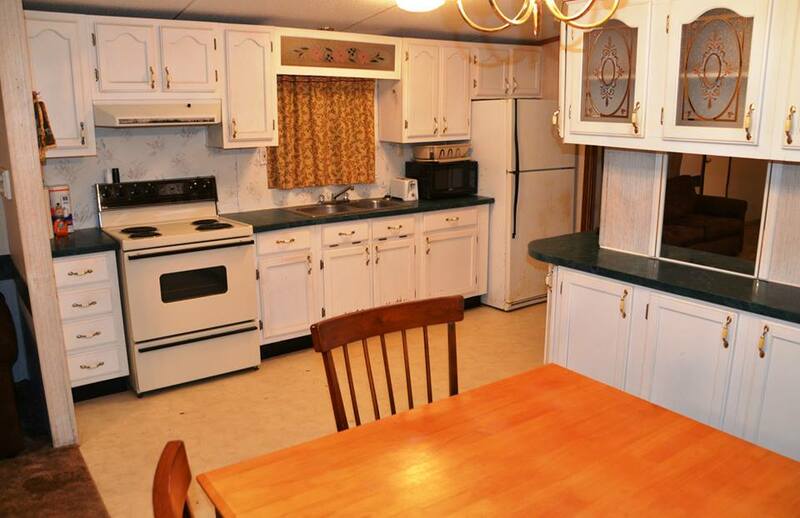 What the Hillbilly Hillton lacks in style, it makes up with comfort and convenience. You can even wear your motocross boots inside. 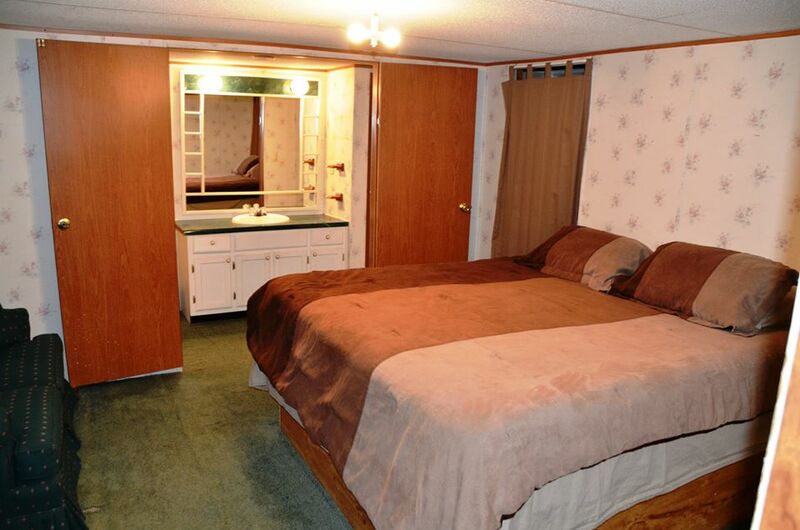 The Hillbilly Hillton sleeps up to 8 people. It’s located on our network of 4x4, UTV, and ATV trails at Byrd’s Adventure Center ORV Park. 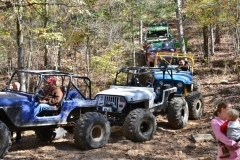 In addition, it offers easy access to ATV, UTV, and 4x4 trails in the surrounding Ozark National Forest. The Hillbilly Hillton features a deluxe kitchen and dining area, 2 full bathrooms with showers and tubs, a large master bedroom with a king-sized bed, and a guest bedroom with a queen-sized bed. 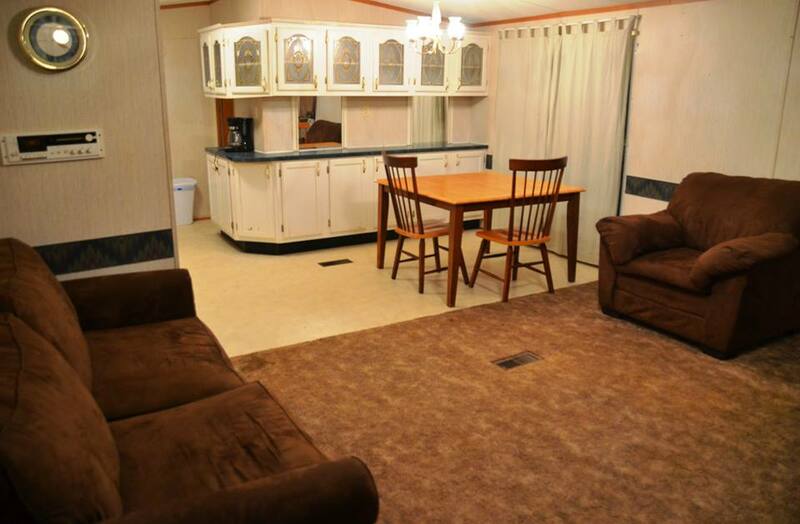 There’s also a large living area with TV and DVD player, a couch, and 2 twin bunk beds. 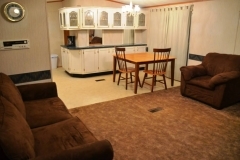 Outside is spacious parking for your off-road vehicles, a campfire ring, and a large wooden deck with a view. When you’re ready to take a break from the trails, enjoy canoeing, kayaking, or rafting on the Mulberry River. Byrd’s can organize a great river trip for your group. Our new Riverfront Restaurant is ready to serve you breakfast, lunch, and dinner every Friday-Sunday during your stay at the Hillbilly Hillton. These trails are in the backyard. Your whole crew can kick back at the Hillbilly Hillton!